You can fill out an application to receive notifications on available "Floral Winter Hand Trio (1x Lavender & Espresso, 1x Rosewater & Pink Peppercorn, 1x Pear & Pink Magnolia)". In stock more 10 732 pc. 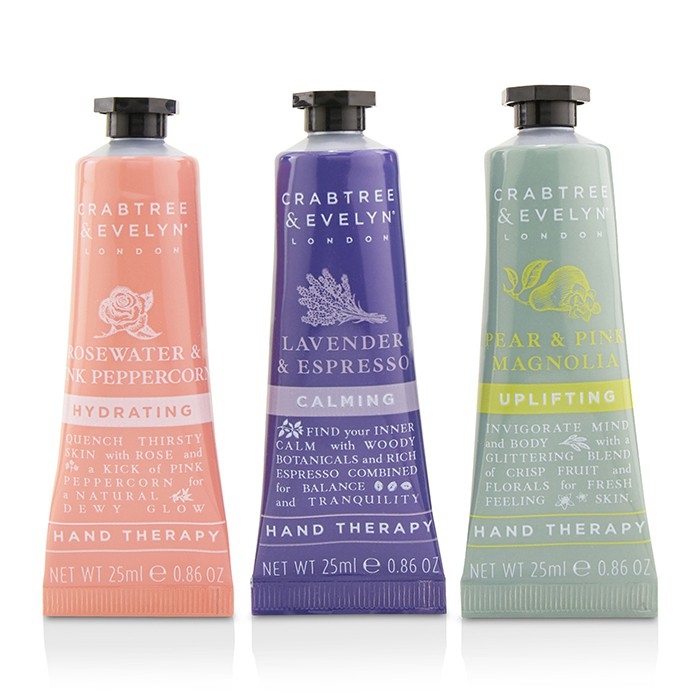 1x Lavender & Espresso Calming Hand Therapy 25g/0.86oz. 1x Rosewater & Pink Peppercorn Hydrating Hand Therapy 25g/0.86oz. 1x Pear & Pink Magnolia Uplifting Hand Therapy 25g/0.86oz.